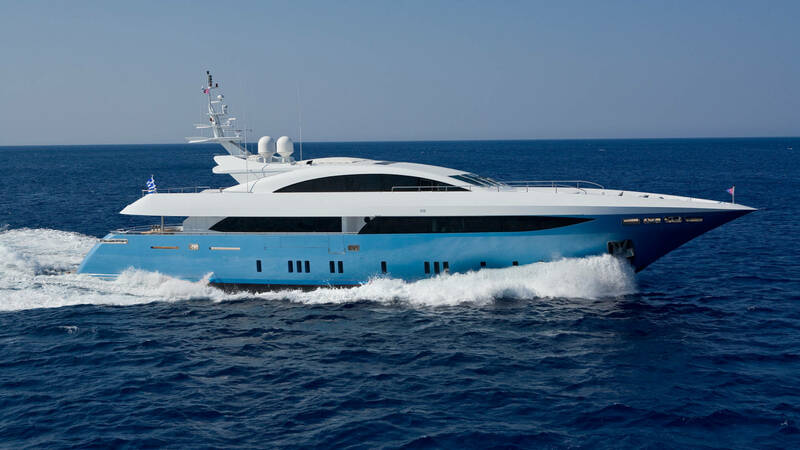 Daloli is an extremely sleek and elegant yacht, designed by Baglietto in 1998 and extensively refitted to the highest standards in 2016! 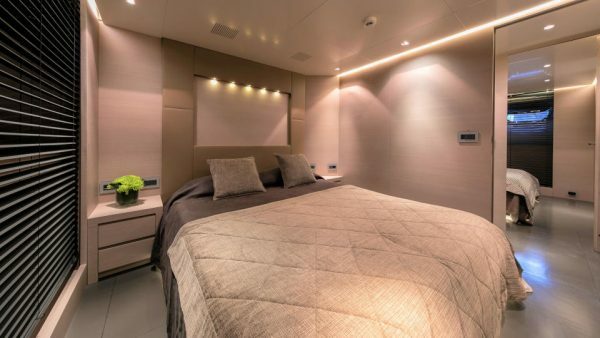 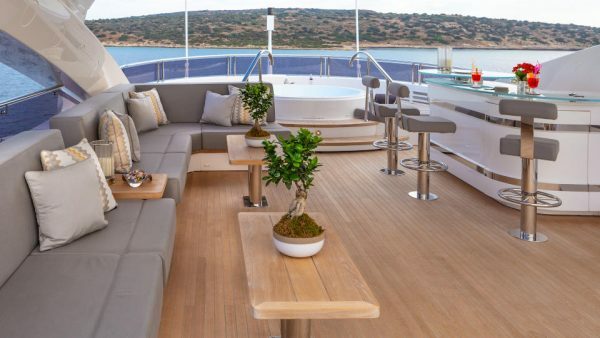 Presenting five modern and stylish cabins – one Master, two VIP and two Twin cabins – Daloli can accommodate up to 12 guests. 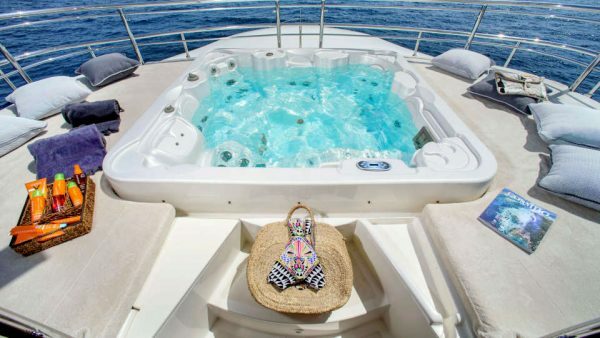 Her amazing crew and her highly experienced Captain will warmly welcome the guests onboard and will satisfy even the most demanding of charter guests! Libertas, built by CRN in 2009 and last refitted in 2018, is the epitomy of modern design! 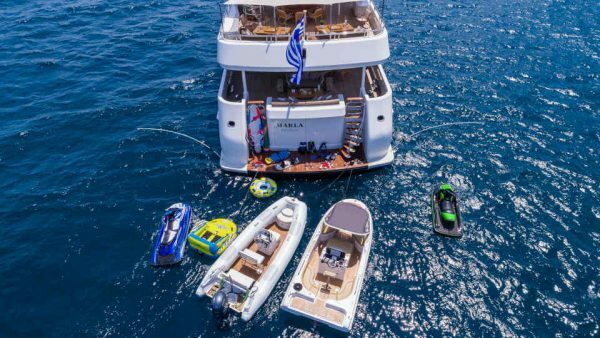 Presenting sleek perfection, timeless styling and a host of entertainments, both on and off water, Libertas is ideal for families and friends seeking fun and relaxation. 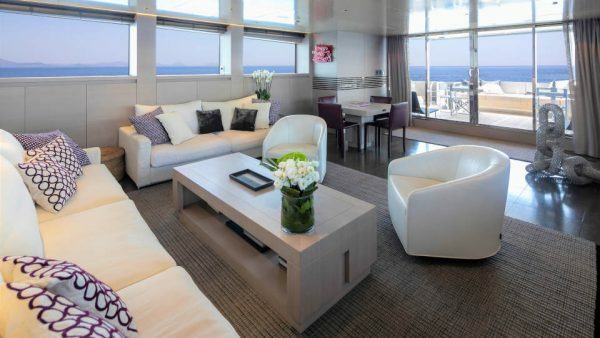 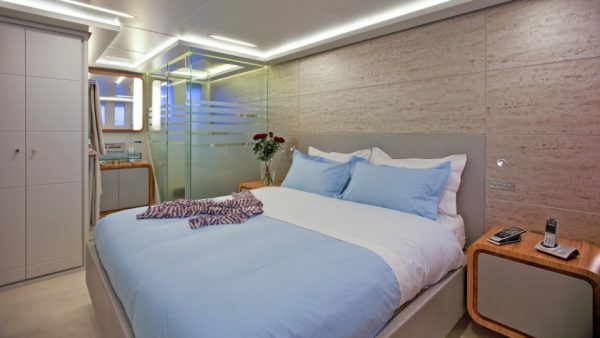 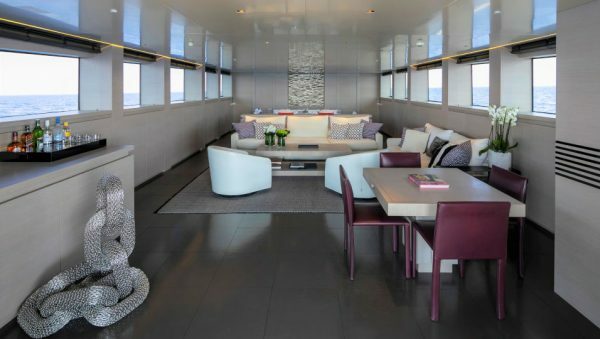 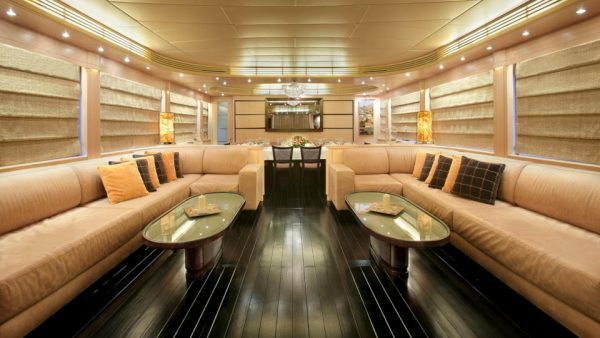 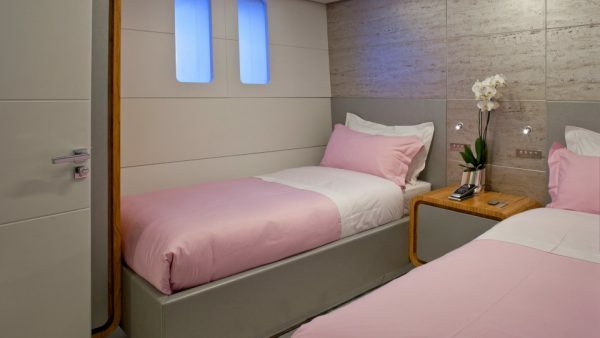 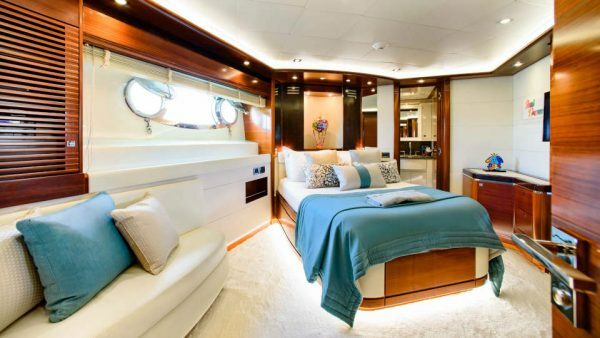 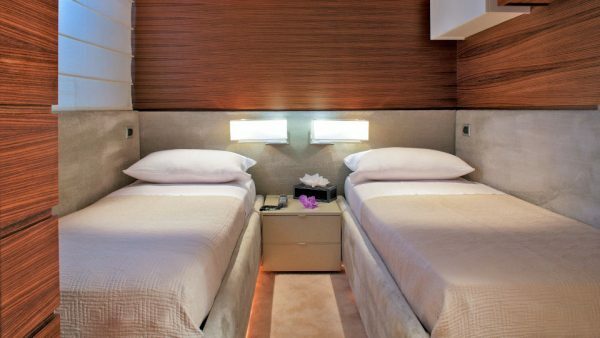 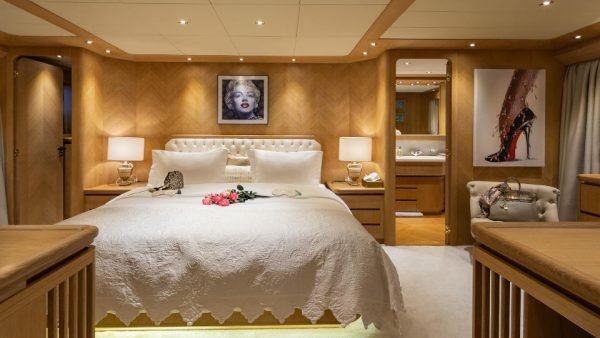 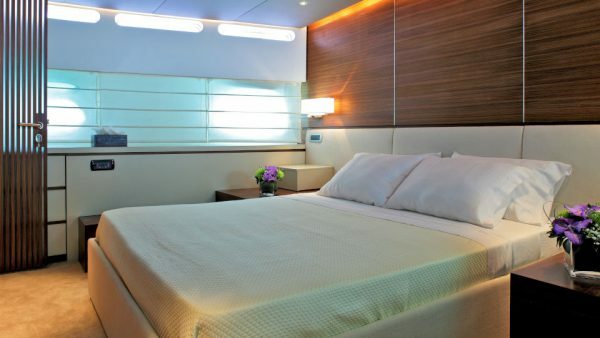 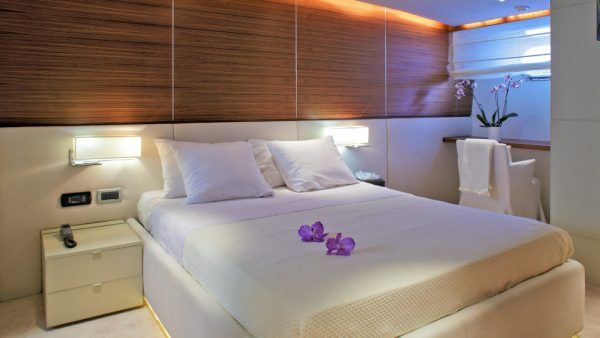 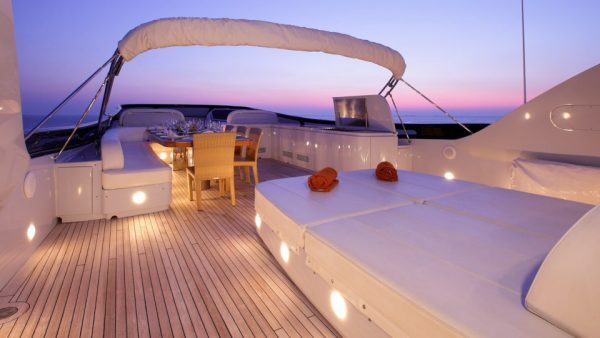 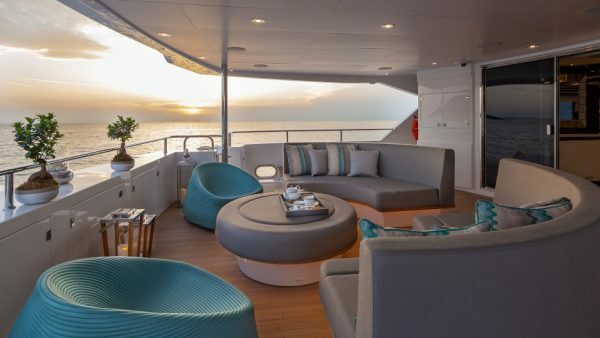 She features five spacious cabins, decorated with modern details and pastel colors, which accommodate up to 12 guests. 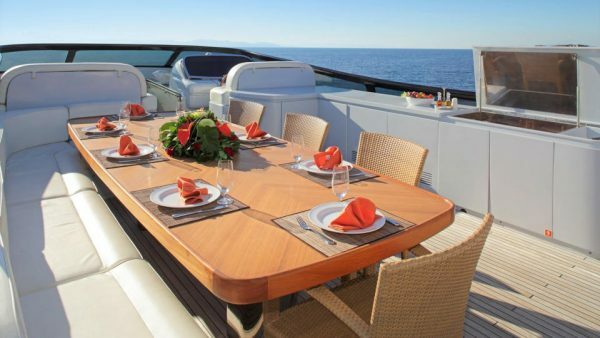 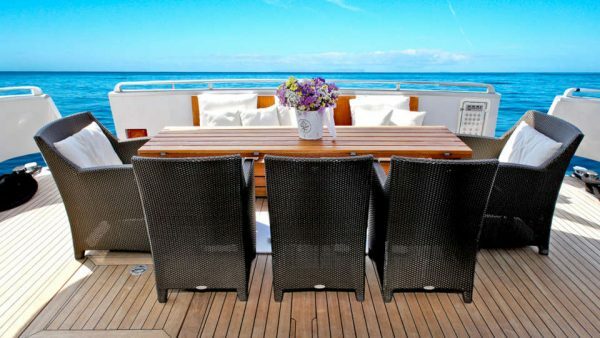 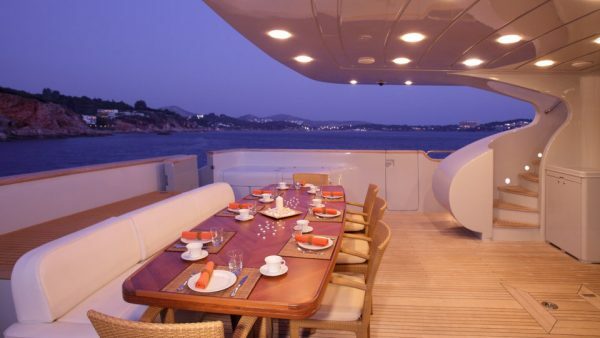 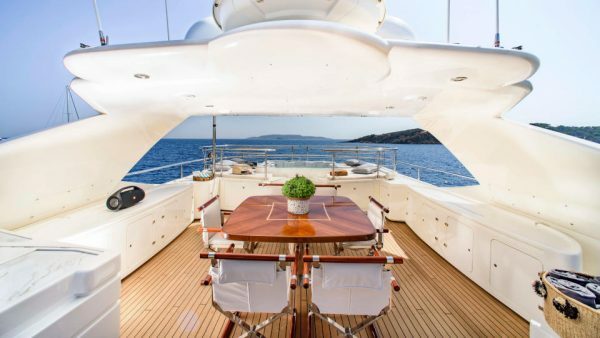 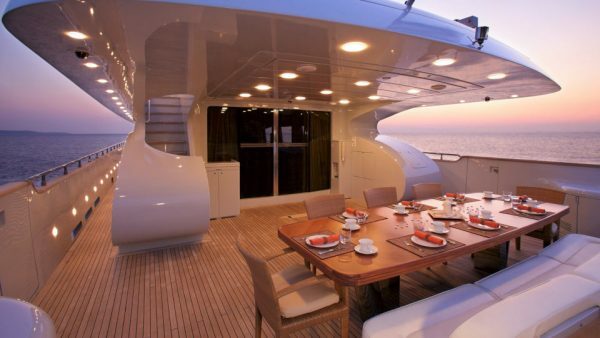 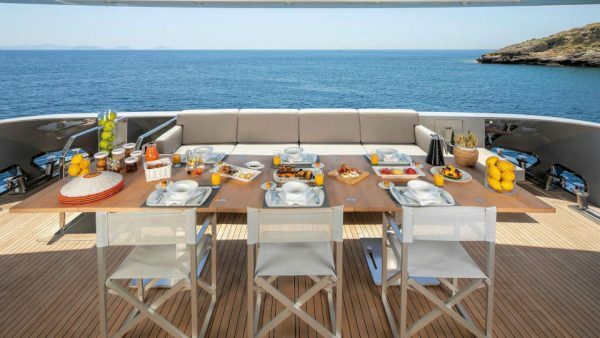 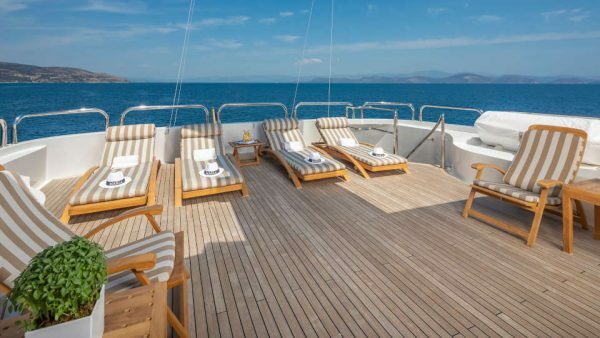 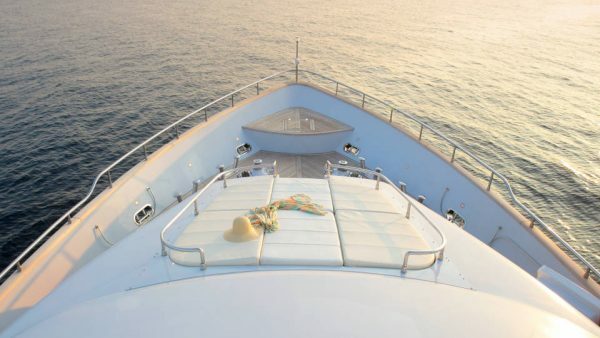 The supremely spacious sundeck is a top choice for leisurely breakfasts and relaxation. 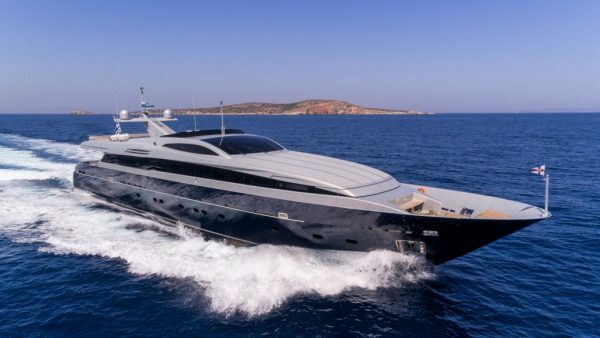 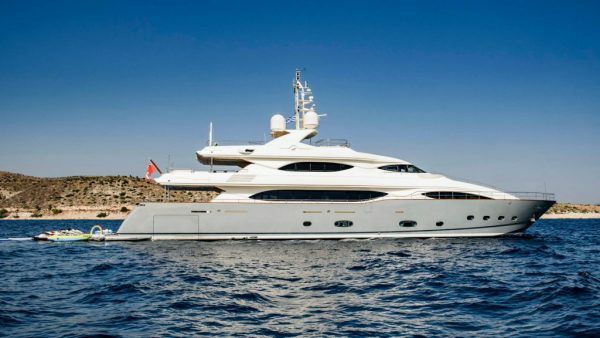 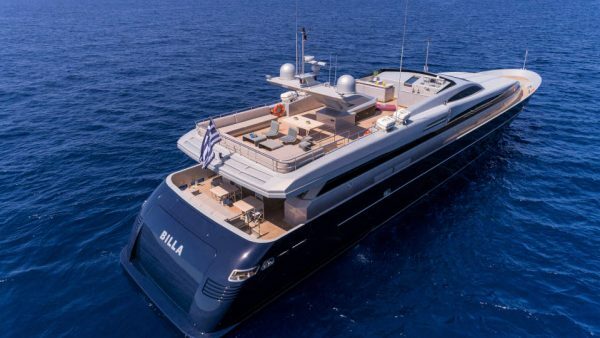 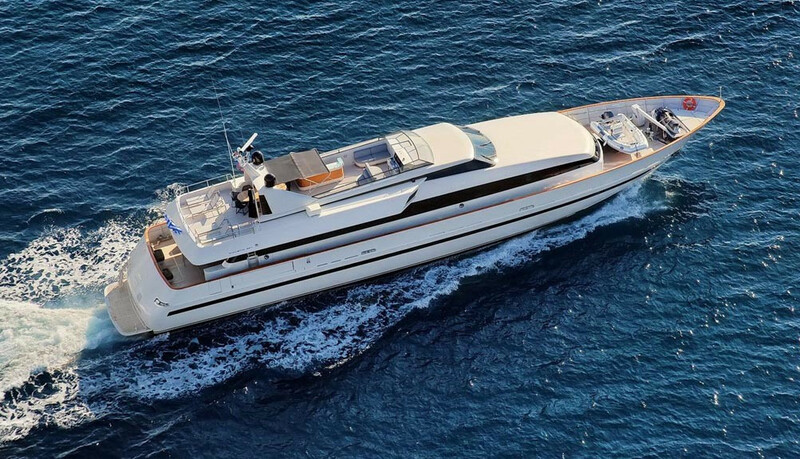 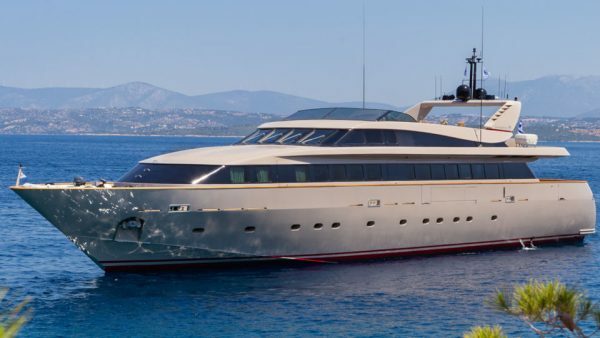 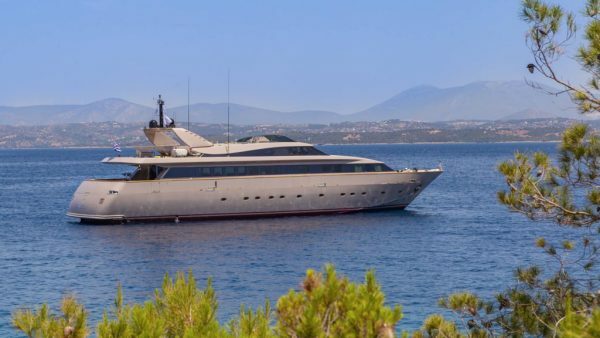 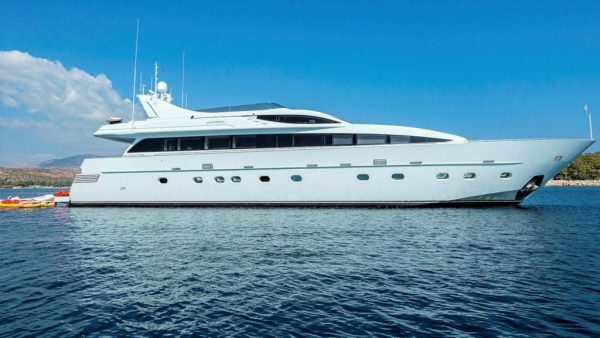 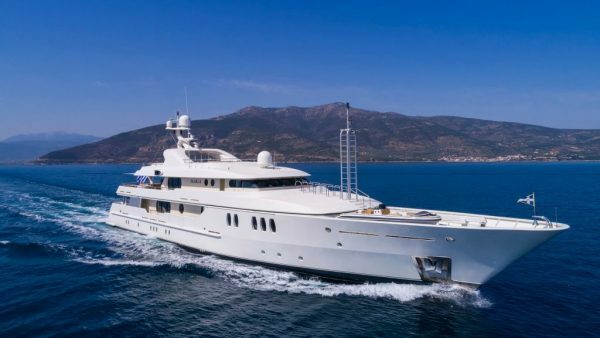 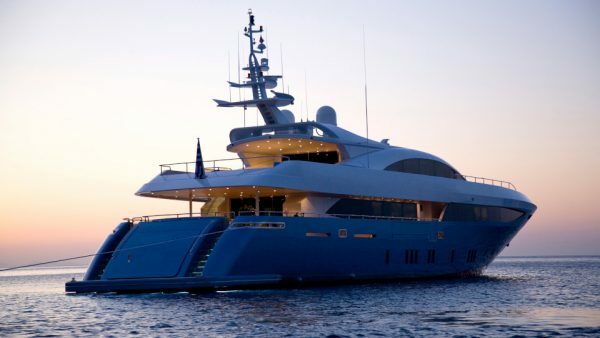 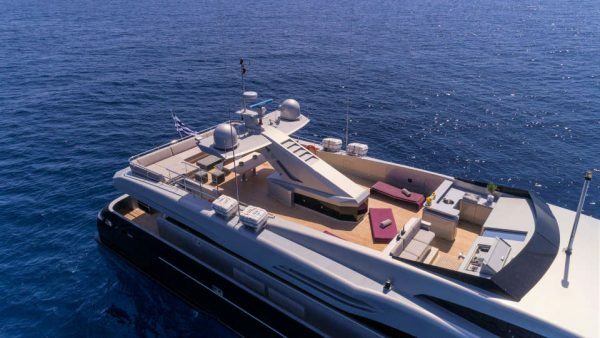 Billa, formerly known as Blue Eyes, was built in 2009 by the Italian Admiral shipyard. 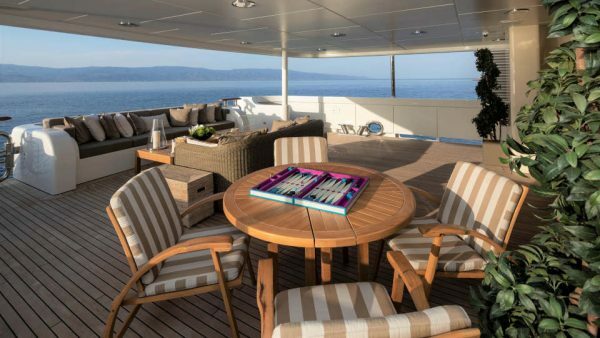 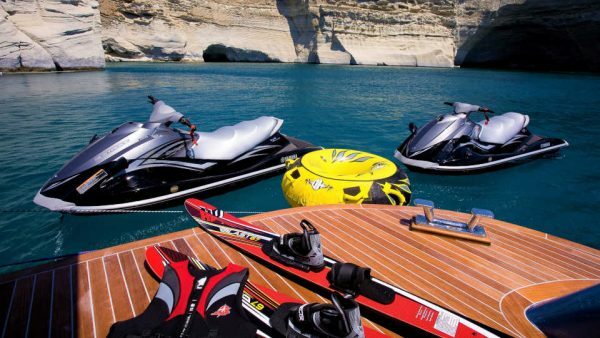 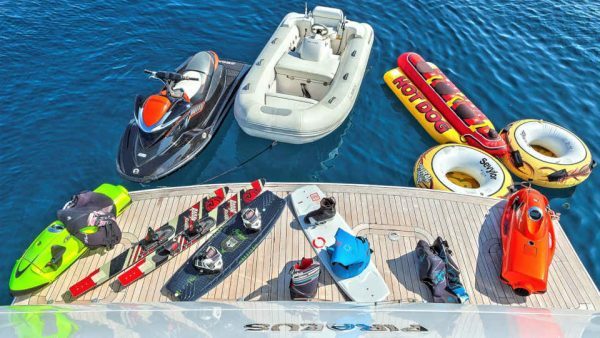 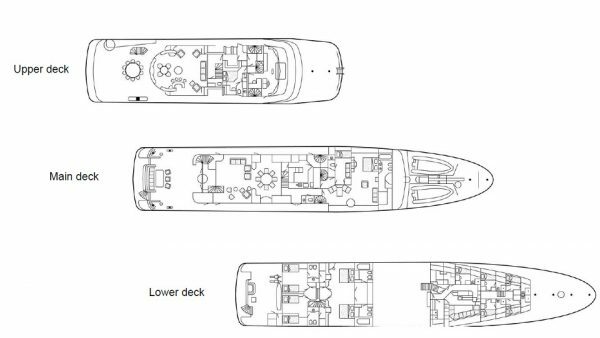 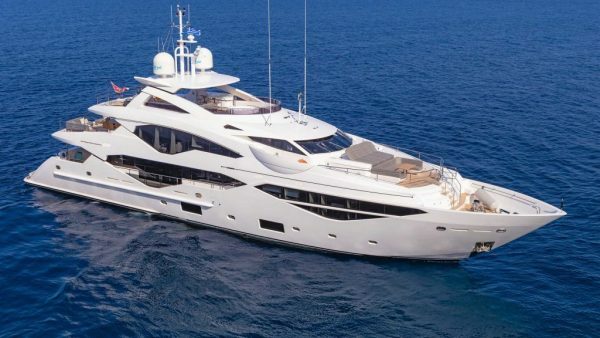 She presents really spacious decks and a fantastic range of water toys. 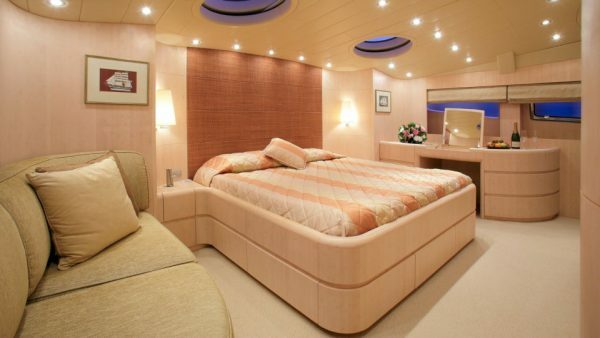 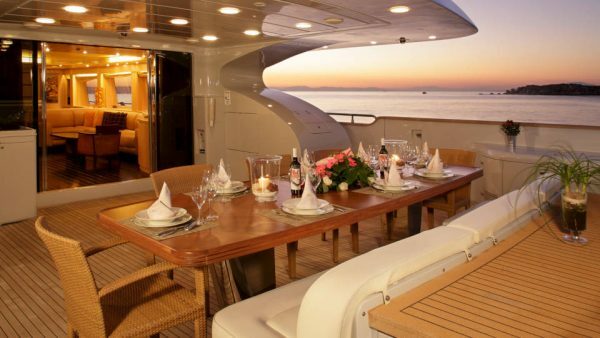 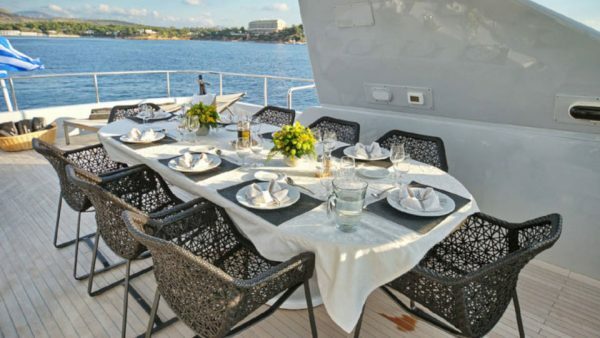 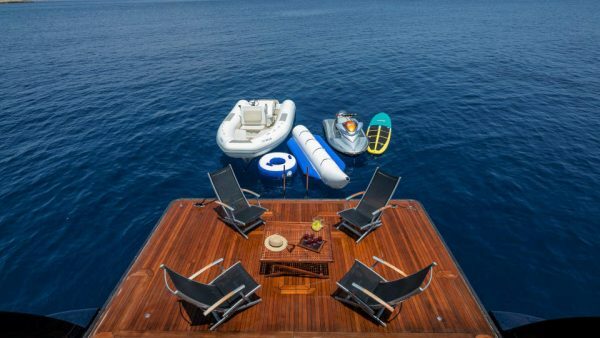 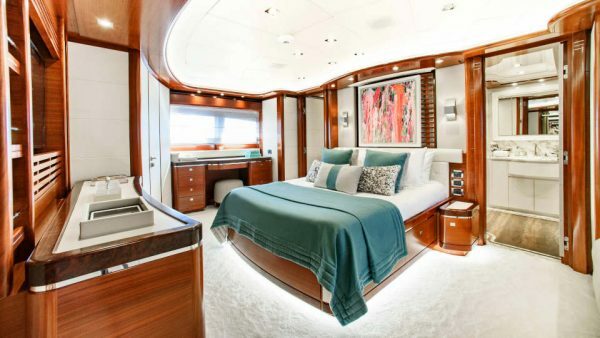 She offers five elegant cabins that sleep up to 11 guests. 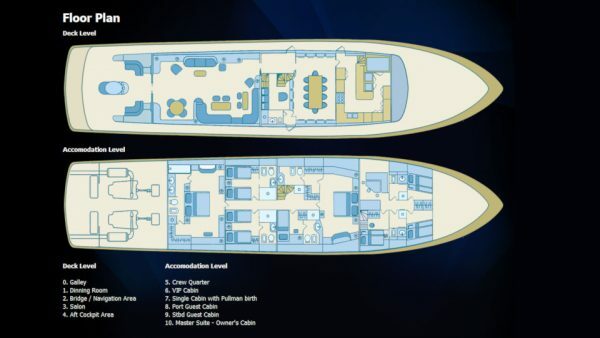 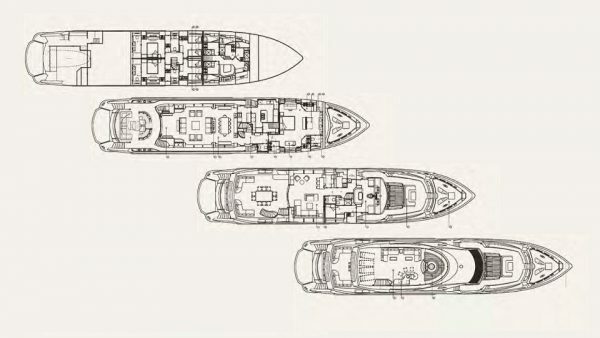 Billa presents an innovative interior design, great cruising performance, dark blue hull and light grey superstructure. 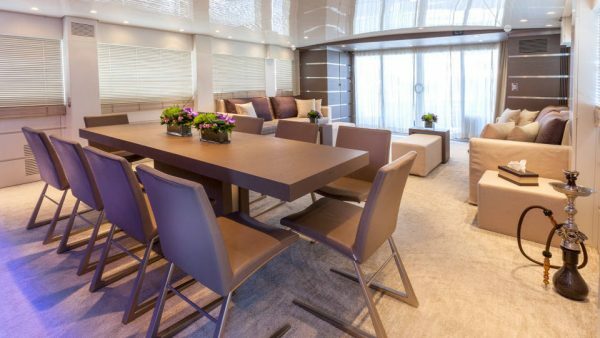 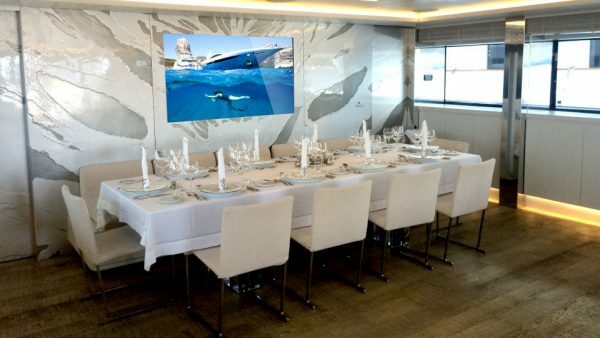 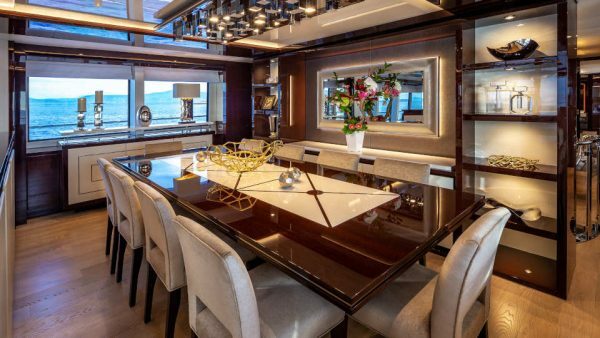 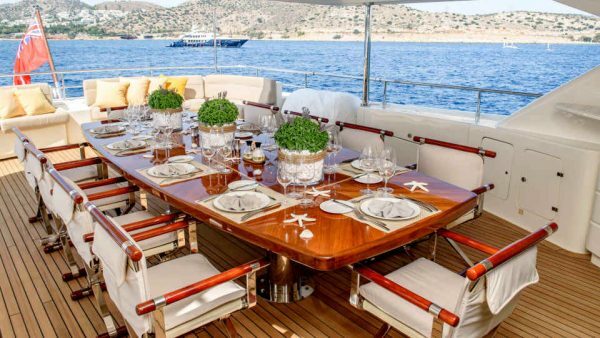 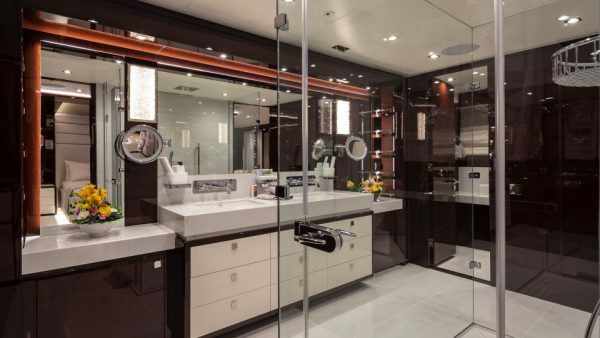 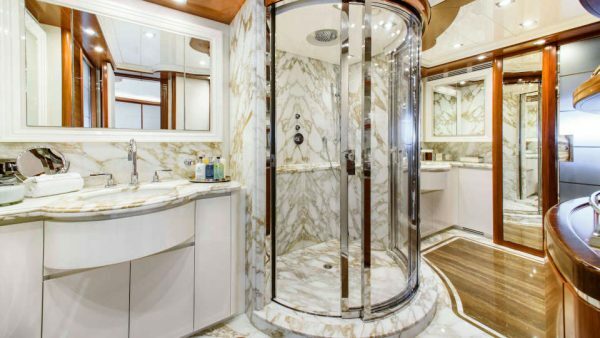 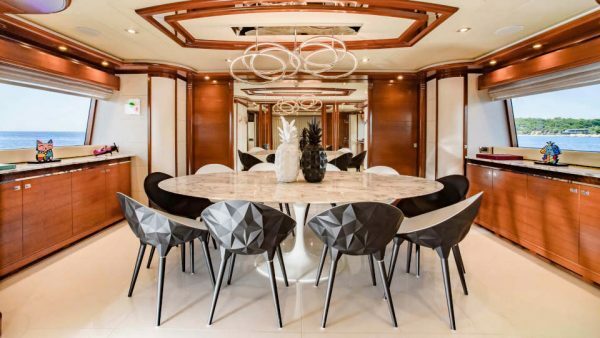 Superyacht Marla is perfectly primed for luxury charter vacations! 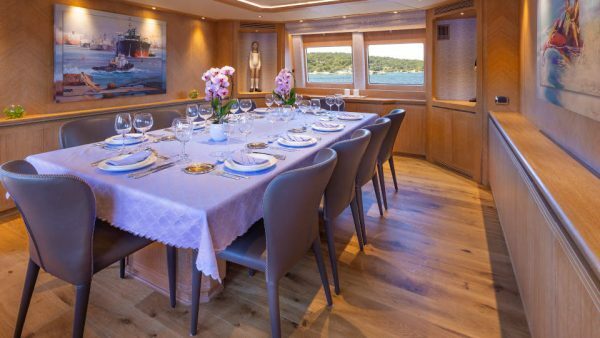 Presenting six modern cabins and accommodating up to 12 guests, she is ideal for cruising to the Aegean and exploring the Greek islands. 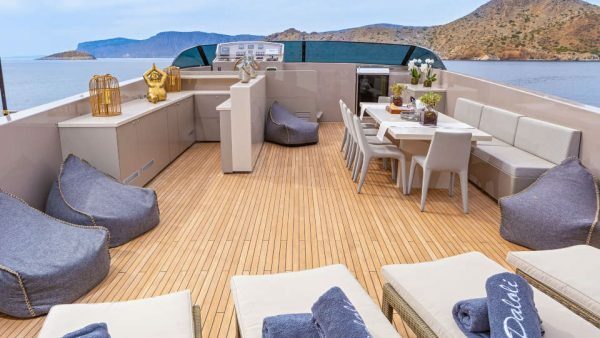 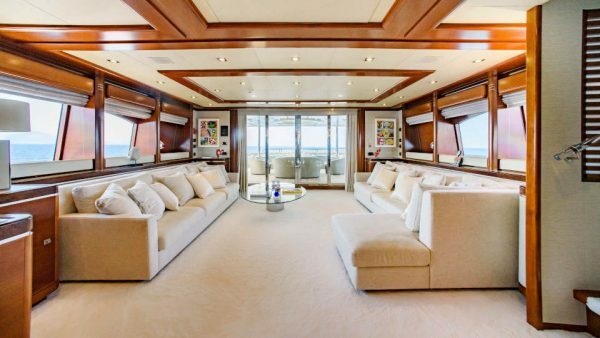 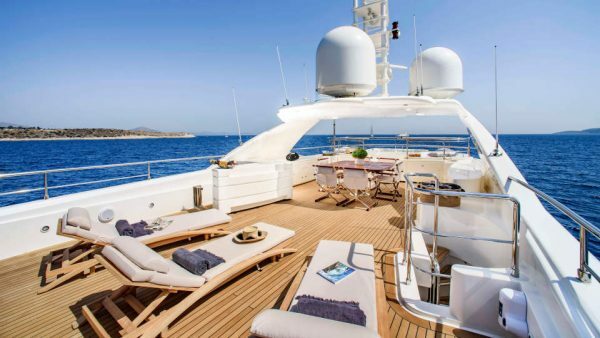 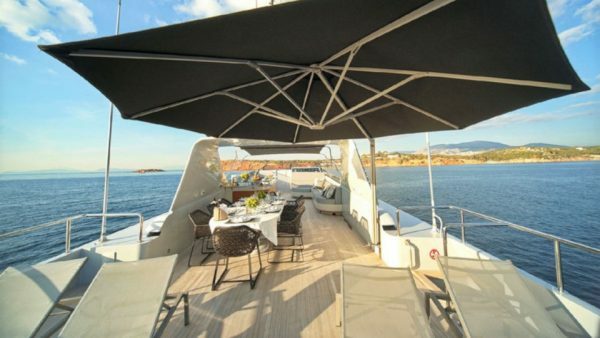 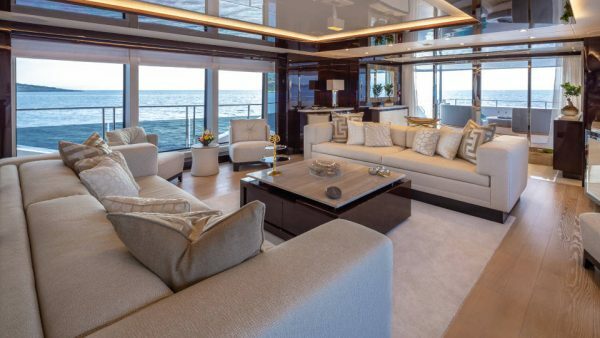 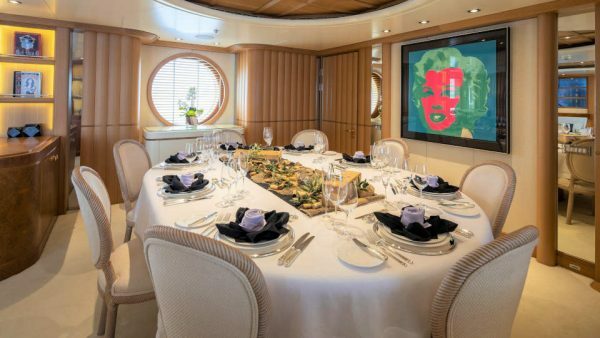 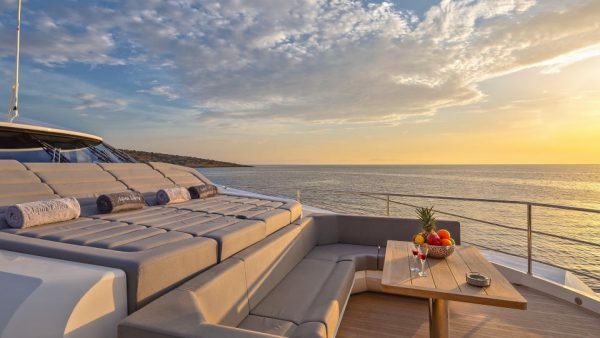 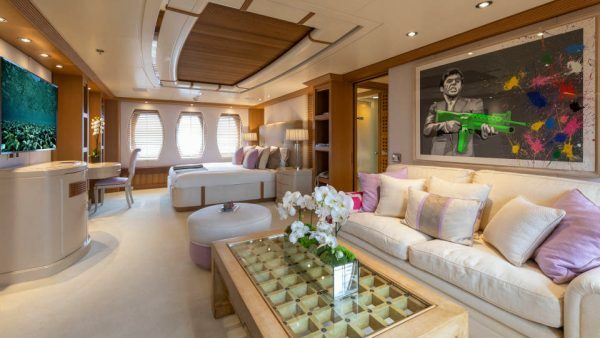 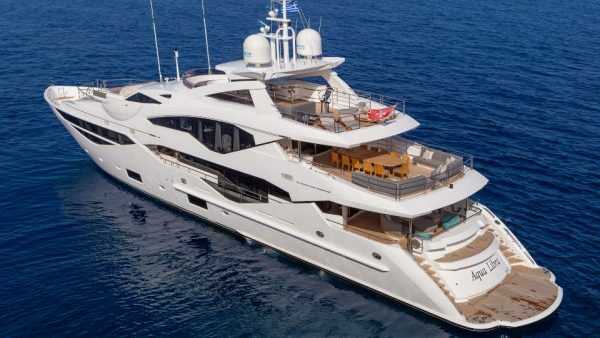 She was refitted to exacting standards in 2015, offering spacious decks with panoramic views available indoors and new artwork that creates a more modern style. Luxury motor yacht Obsesion combines performance and style cruising comfortably at 26 knots. 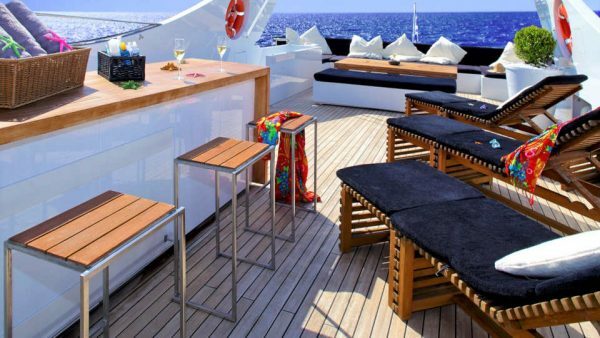 In Spanish obsession means obsession and she aims to make guests’ experience onboard an obsession! 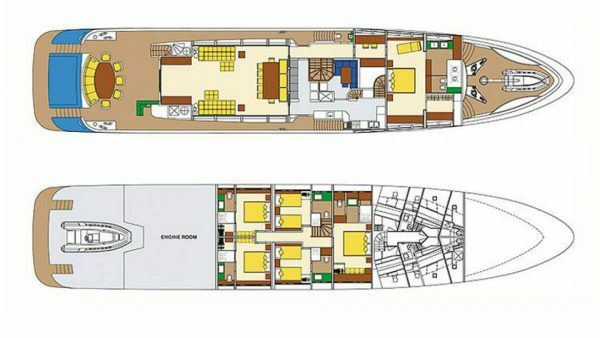 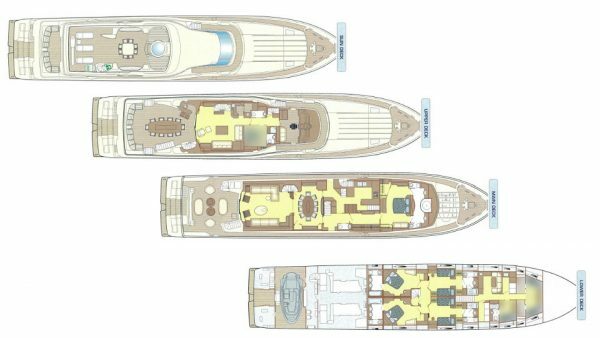 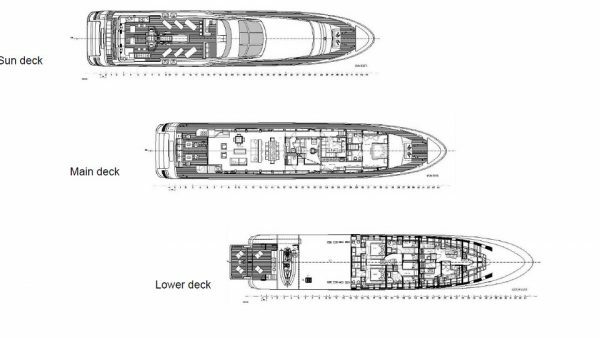 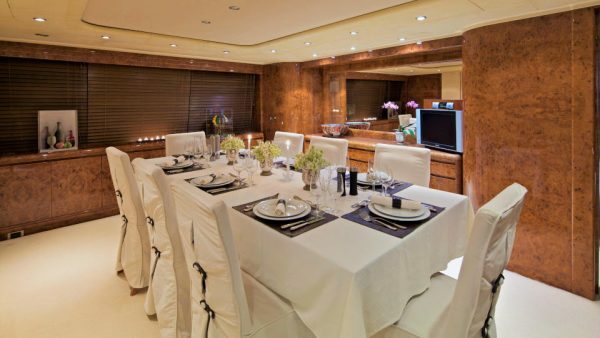 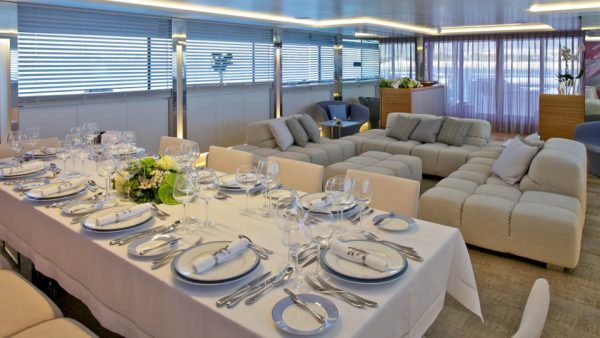 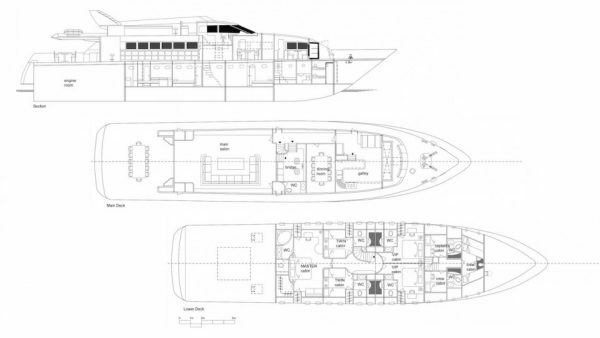 She presents an elegant main saloon, a luxurious dining area and five spacious cabins accommodating up to 10 guests. 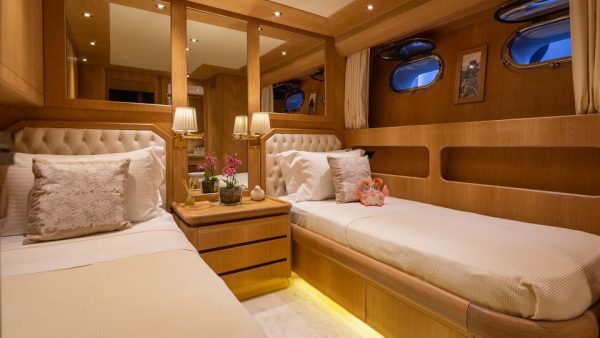 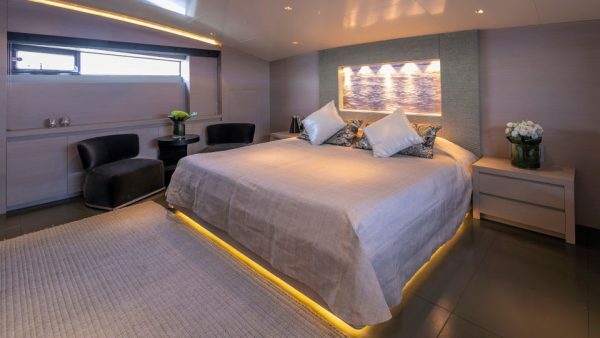 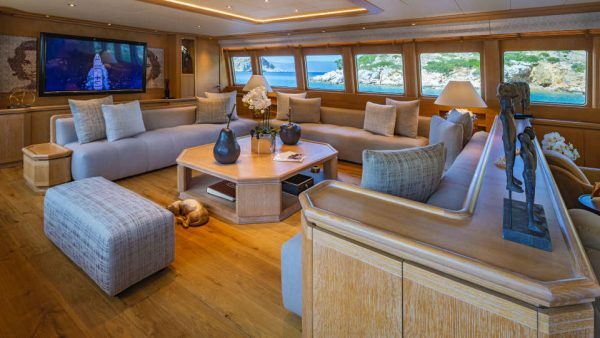 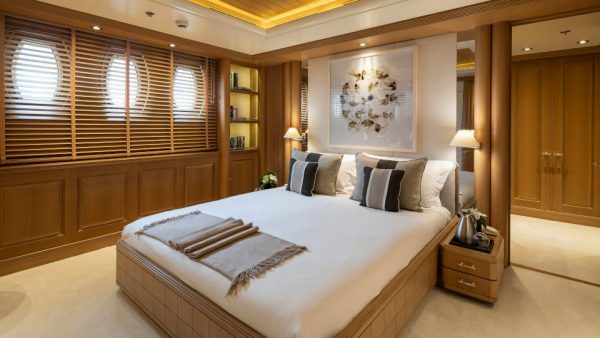 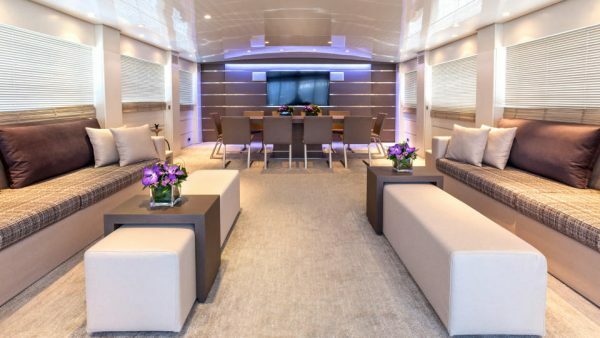 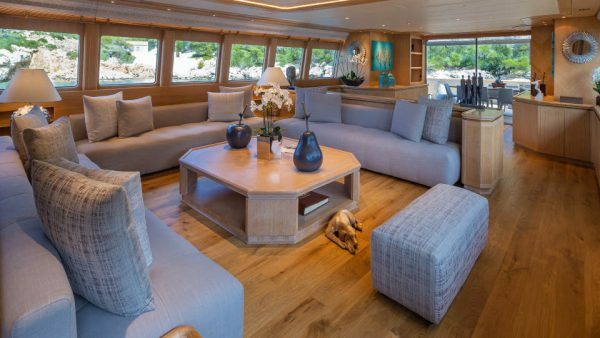 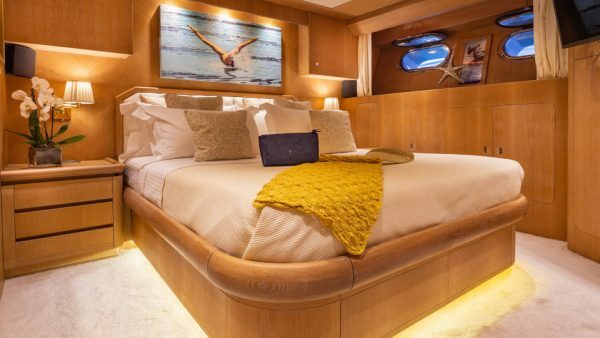 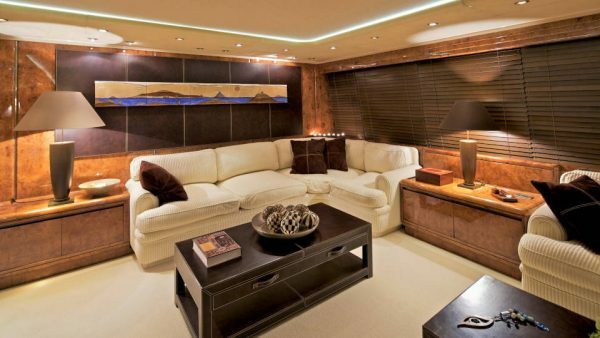 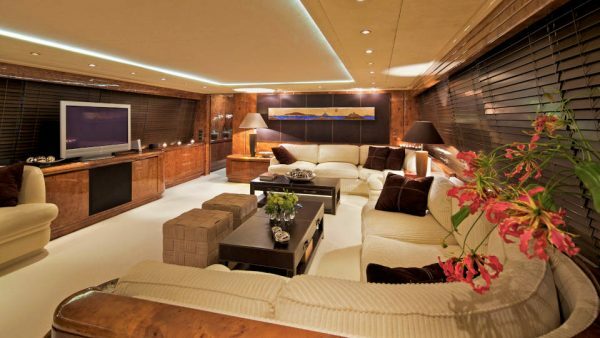 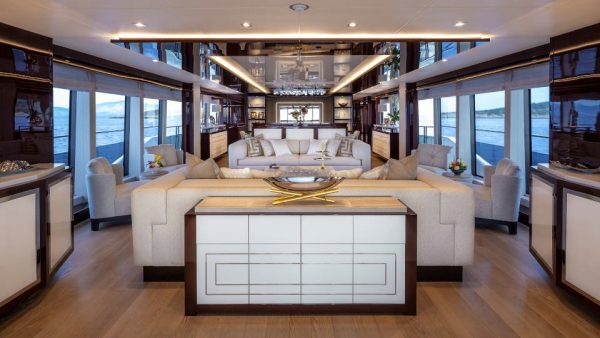 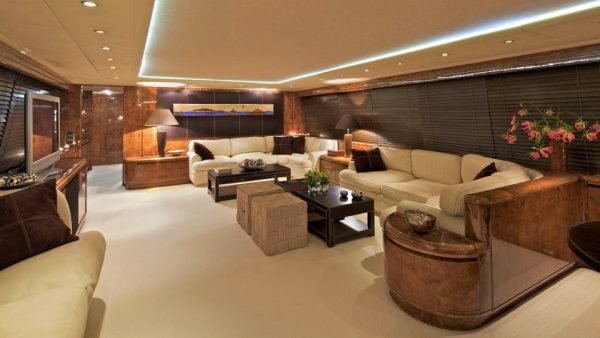 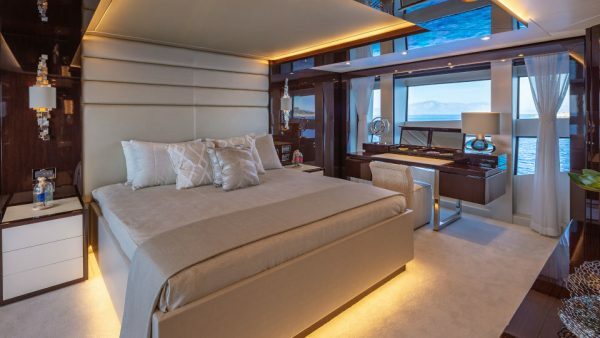 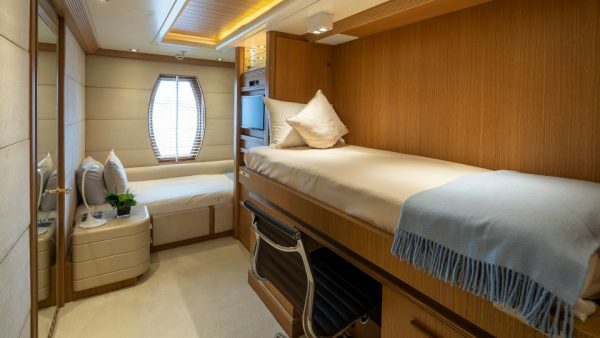 Her beautiful furnishings and the wooden details create a cozy atmosphere throughout the yacht ideal for relaxed vacations. 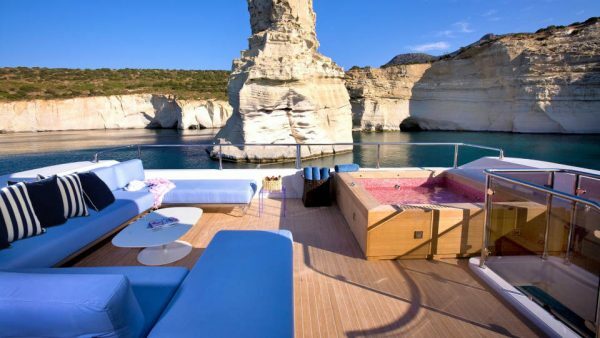 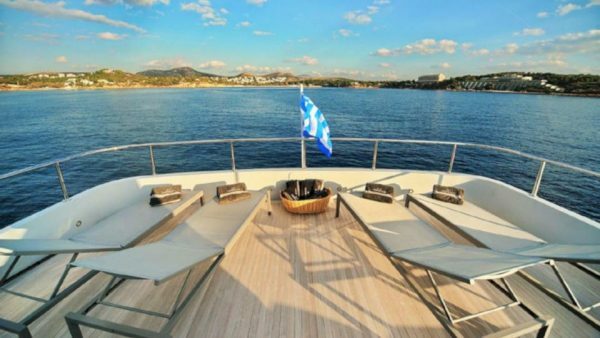 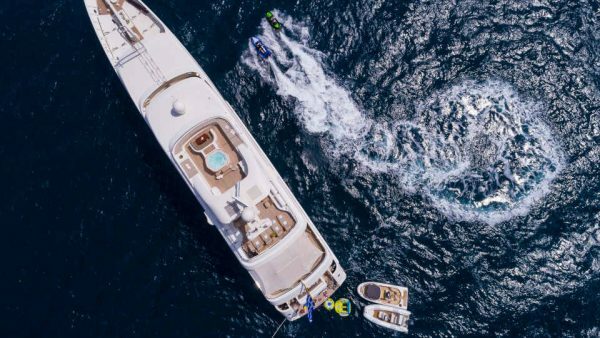 Tropicana is a luxury 32m motor yacht perfect for cruising to the Greek islands and discovering secret bays with azure waters. 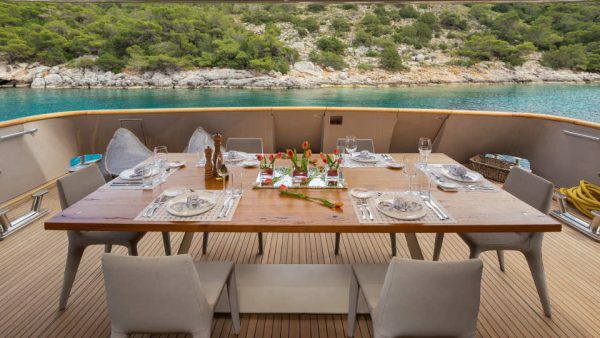 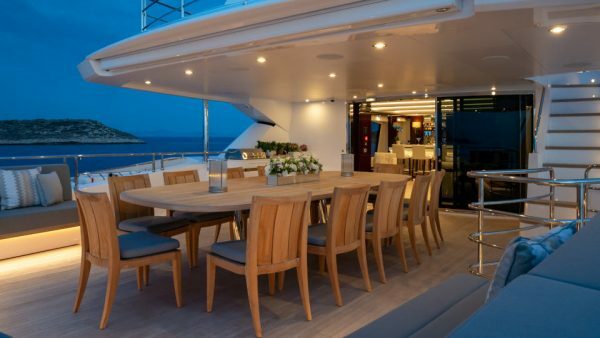 She presents an elegant modern interior filled with natural light from the starboard windows and spacious exterior living areas offering an al fresco dining experience. 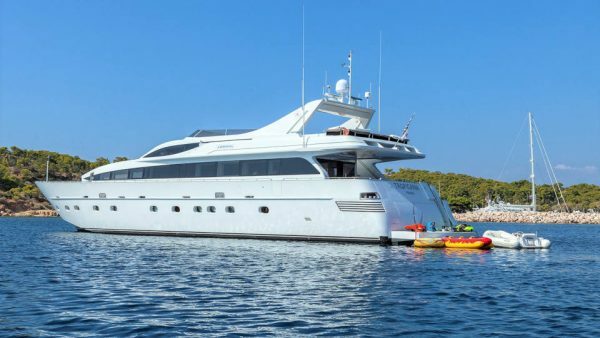 She has an extended swim platform and garage for her plenty water toys. 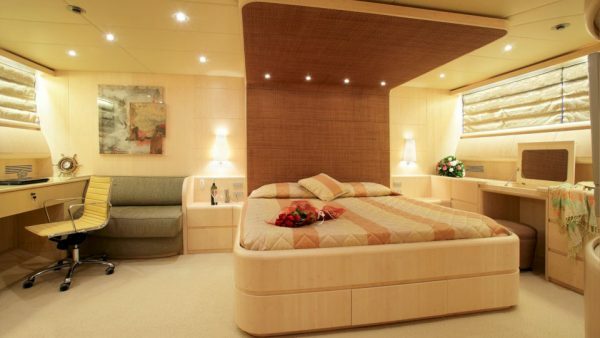 Guests will cruise at the utmost comfort onboard Tropicana and will be pampered by her professional crew of six! 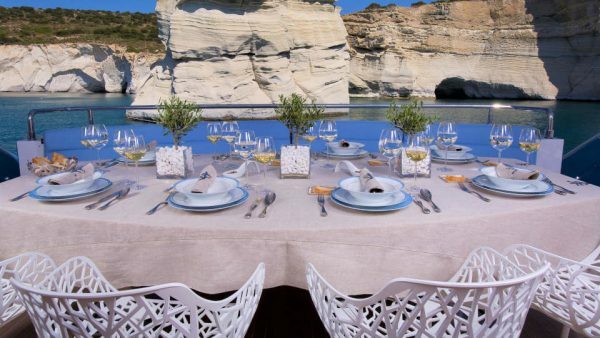 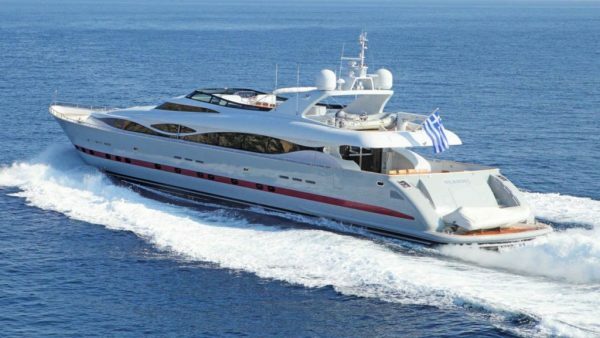 Glaros delivered by Maiora is an ideal luxury motor yacht for charters around Greece and Turkey. 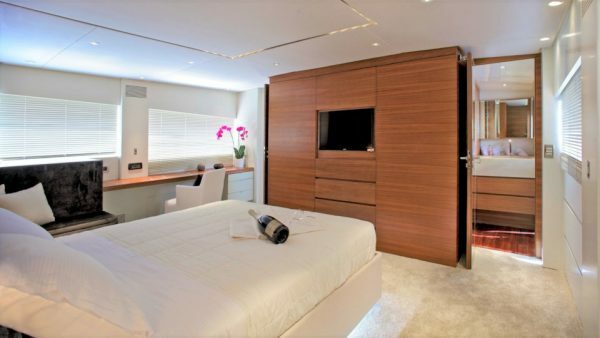 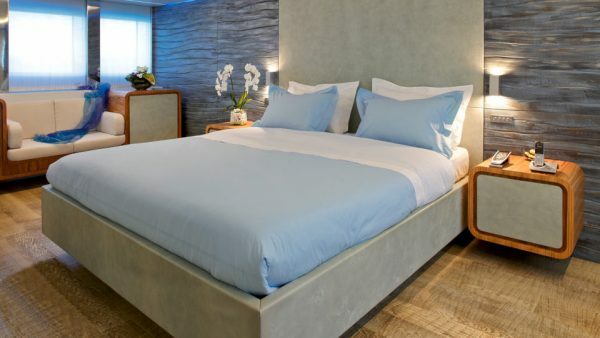 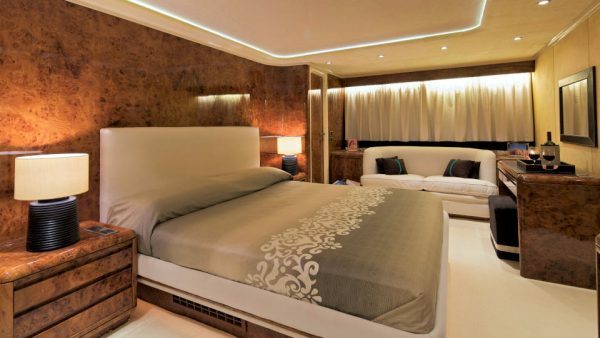 She presents a contemporary and sleek interior design, soft furnishings and light fabrics. 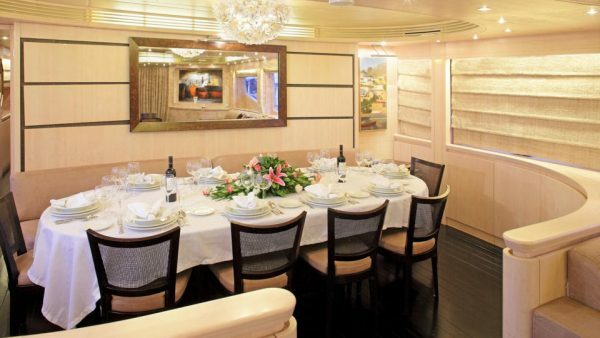 She accommodates at the utmost comfort up to 12 guests in six modern cabins. 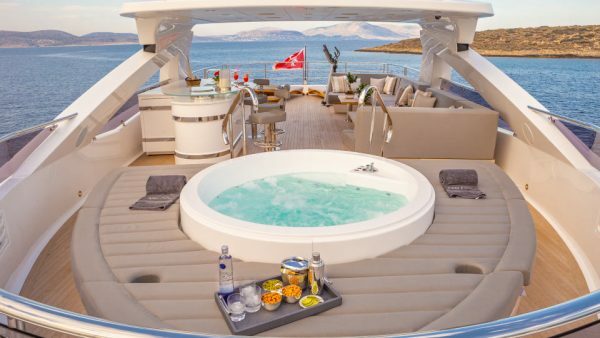 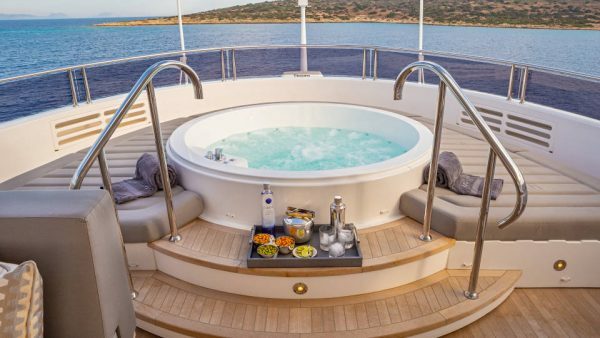 Her Master cabin on the lower deck and her VIP cabin on the main deck offer both Jacuzzi for unforgettable moments of relaxation. 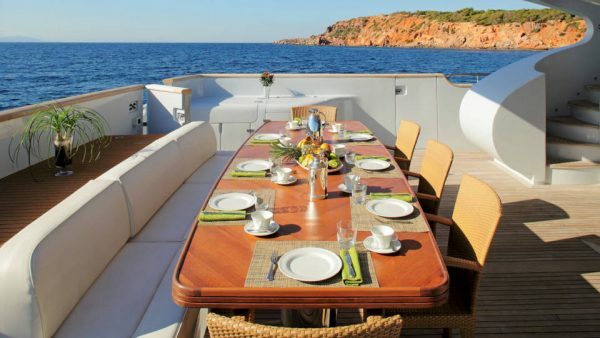 Barents Sea is the perfect choice for a successful charter! 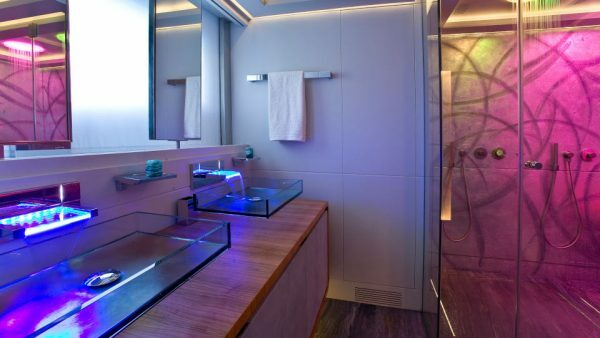 She presents the latest state-of-the-art technology with the new trend of led lighting! 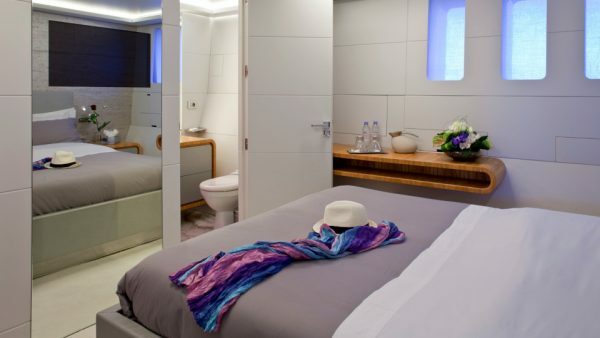 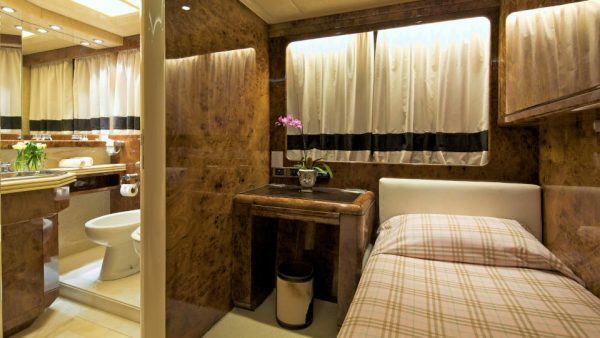 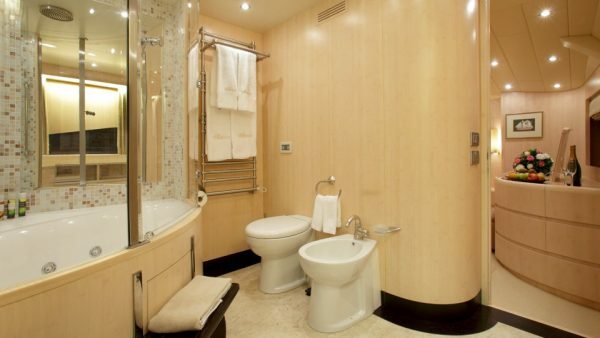 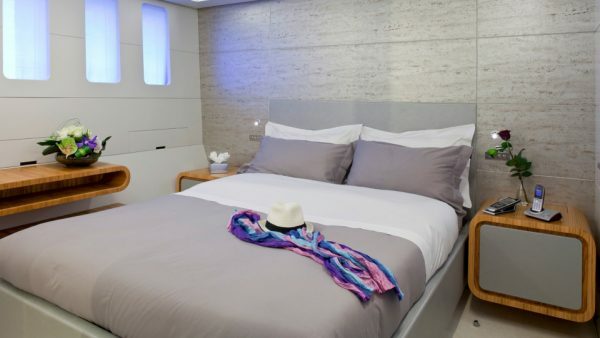 All cabins are modern and spacious, all with ensuite facilities. 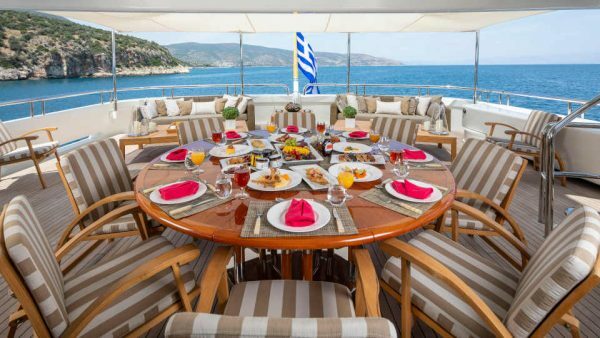 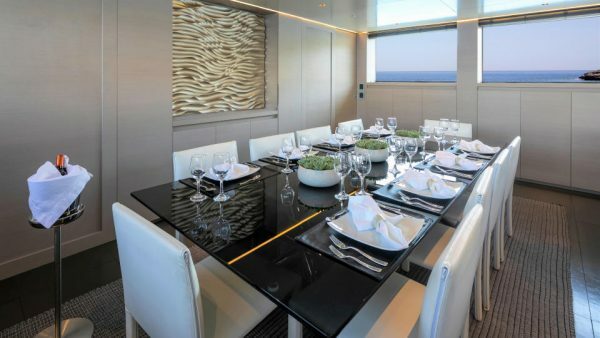 Guests can taste delicious Mediterranean flavors in the aft main deck dining table or enjoy a refreshing cocktail on the ample upper deck while taking a dip in the Jacuzzi.